We need a l ot of help taking care of the 35+ rabbits housed at the Rabbit Center. 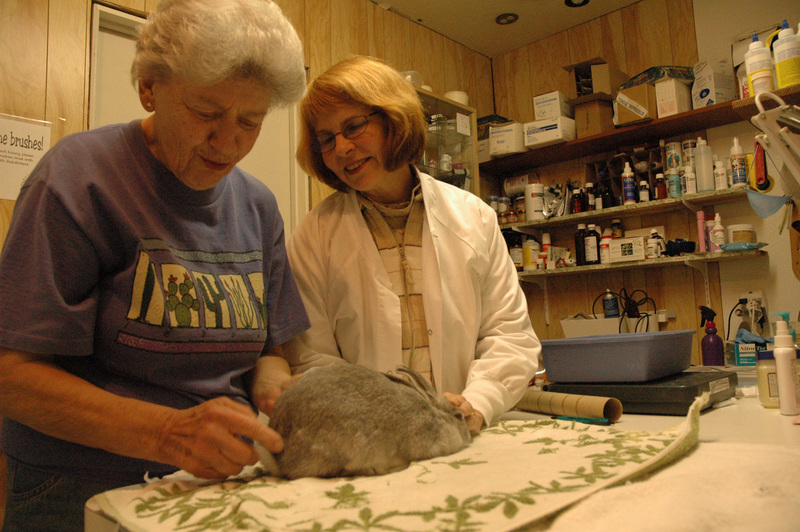 Volunteers get to help with, and learn about, all aspects of rabbit care and shelter management through hands-on learning at the international headquarters for House Rabbit Society. Volunteers enjoy time with our 35+ rabbits learning about: rabbit behavior and communication, bonding rabbits, basic and intermediate identification of rabbit medical issues, techniques of using the web to match-make homes for rabbits, shelter operations, humane education, and rabbit rescue. Volunteers must be 16 and up. General Volunteer: Groom (nail trims, combing, cleaning glands) our shelter rabbits to prepare them for adoption. Feed rabbits, clean litterboxes, and tidy rabbit habitats. Bag hay. Help keep House Rabbit Society tidy, helping to vacuum or sweep. Office Assistant: Answer phones, open the door & greet visitors, help with mailings, assist in Hop Shop ringing up customers, restock store, help with filing and typing. Help keep House Rabbit Society tidy, helping to vacuum or sweep. Handyperson: Help with building maintenance, repair, gardening, cleaning, and heavy lifting. Volunteer Driver: Drive rabbits to and from veterinary appointments, pick rabbits up at shelters, and transport to off-site adoption events. This position requires access to a car. Foster Home: Care for a foster rabbit in your home. We provide the set-up supplies, you provide the salads and love! Foster rabbits must be brought to an adoption day once a month at House Rabbit Society or Hayward Animal Services. Email our Foster Questionnaire to hq@rabbit.org to get started! Rabbit Adoption Promotion Team: Create online & print listings for adoptable rabbits and upcoming events at HRS, graphic design for fliers and handouts, distributing flyers. 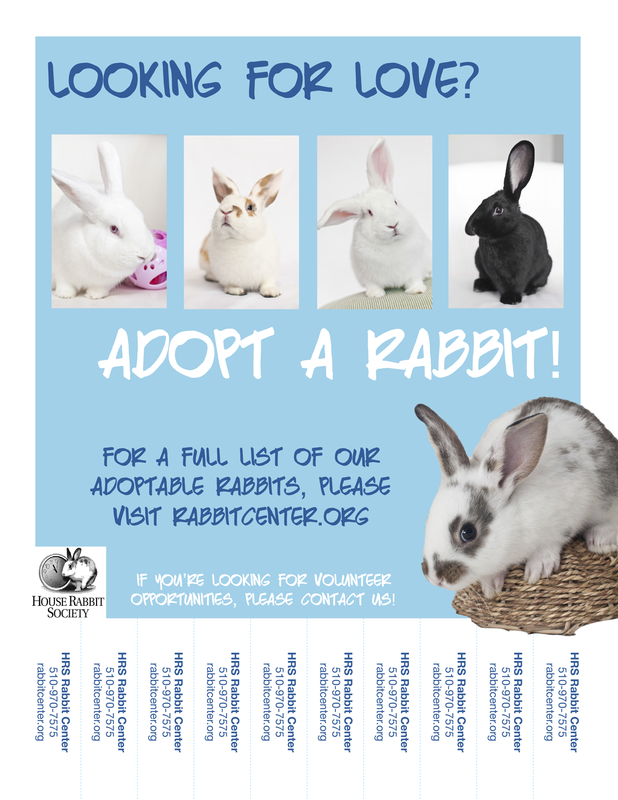 Here’s an “Adopt a Rabbit” flyer you can print out and post on bulletin boards in Bay Area coffeeshops, libraries, supermarkets, pet supply stores, and vet offices – no official volunteer status/training needed to help House Rabbit Society by posting these fliers! Veterinary Volunteering: We have special volunteer opportunities for veterinarians, vet techs, vet assistants, vet and pre-vet students! 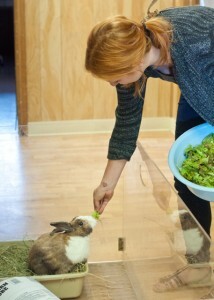 Email hq@rabbit.org to inquire about veterinary volunteering! You can attend the Tour and the Volunteer Training in either order. After receiving your online volunteer application, we will email you upcoming tour & training dates. Drop-in volunteer days can be in addition to your regularly scheduled shift, but we ask for a weekly shift commitment. Current volunteers, sign in here to check your schedule/change your contact information.